Harvard Law professor Laurence Tribe has repeatedly spread conspiracy theories. Tribe has amplified conspiracies about President Donald Trump and Saudi Arabia teaming up to expose Jeff Bezos and Russia orchestrating a plane crash to cover up collusion, among others. Tribe’s role as internet conspiracist hasn’t kept media outlets from promoting him on TV and in news articles. 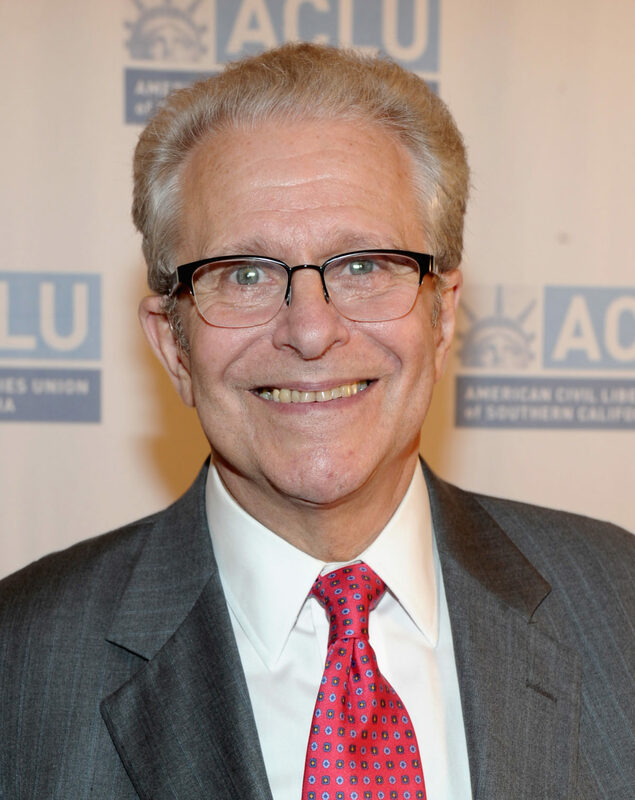 Harvard Law professor Laurence Tribe has habitually spread conspiracy theories, but that hasn’t prevented him from maintaining a presence in the national media. 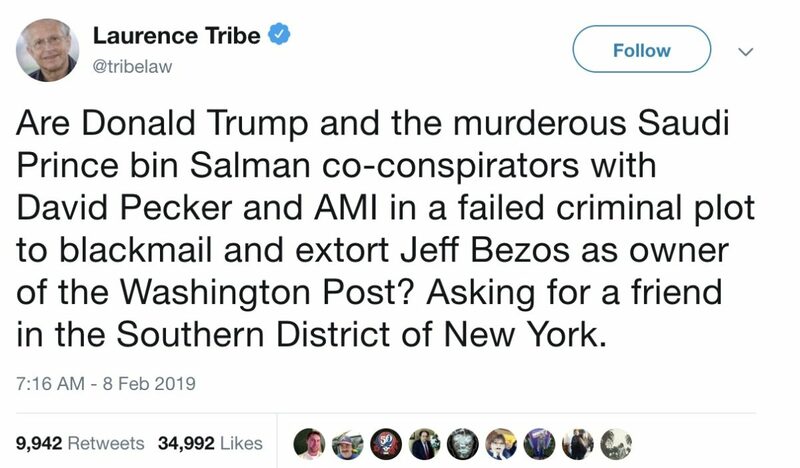 Tribe was among several high-profile figures to amplify a false conspiracy theory in February that President Donald Trump had teamed up with Saudi Arabian Prince Mohammed bin Salman to leak Amazon CEO Jeff Bezos’s affair to the National Enquirer. His conspiratorial post was shared thousands of times across Twitter. The Wall Street Journal reported Monday that the Enquirer had paid the brother of Bezos’s mistress $200,000 for text messages between the two lovers, confirming a Daily Beast report that identified the brother — not the Saudis — as the Enquirer’s source. Tribe’s tweet was still up as of Wednesday evening. The Harvard Law professor has made a habit of spreading baseless conspiracy theories, seemingly without repercussion. In one instance, Tribe implied that a Russian plane crash in February 2018 was a cover-up of collusion between Trump and Russia. Tribe’s viral claim was nowhere close to the truth. Millian wasn’t on the plane. In December 2018, Tribe shared a left-wing blog post titled “Mueller Hints That Mike Pence May Be Indicted Soon.” There is no evidence to support that headline, and the vice president has not been indicted. No reporting to date supports the claim that Pence is “in Mueller’s cross-hairs.” The blog Tribe cited, PoliticusUSA.com, has a track record of spreading misinformation. In January, Tribe cited the same blog to say that Trump’s announcement of House Speaker Nancy Pelosi’s plans to travel to Afghanistan during the government shutdown bordered on “treason” by giving “aid and comfort” to the Taliban. Tribe’s role as internet conspiracist hasn’t prevented national media outlets from elevating his profile, quoting him in their articles and hosting him on their panels. Tribe has appeared on MSNBC five times this year, according to a transcript search on the media monitoring service Grabien. The Washington Post cited Tribe in an article Monday about Republican Iowa Rep. Steve King, who shared a meme on Facebook saying that Republican states would win in a civil war because they have “8 trillion more bullets.” King deleted the post after criticism. Tribe’s media appearances have continued long after a May 2017 BuzzFeed report noted his established track record of spreading anti-Trump conspiracy theories. In one instance BuzzFeed documented, Tribe shared an article from the Palmer Report, a left-wing blog known for spreading misinformation, that claimed Trump had paid then-Republican Utah Rep. Jason Chaffetz “$10 million in Russian money” in advance of the 2016 election. The only source for the conspiracy theory was a tweet from an anonymous Twitter user.